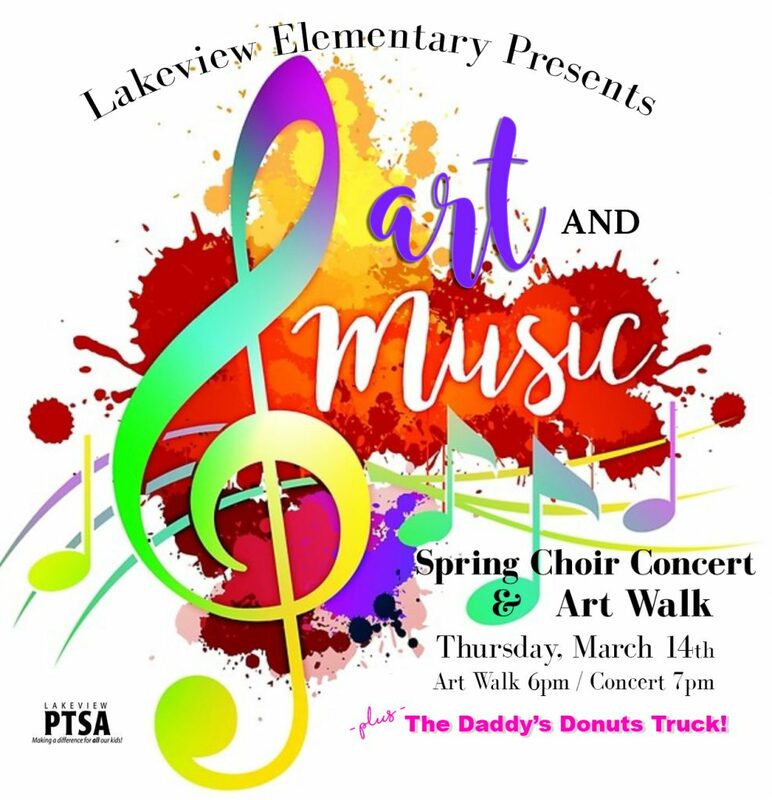 Lakeview’s 2019 Art Walk will be held on Thursday, March 14 in conjunction with the spring Intermediate Choir Concert. The Art Walk is always a great time to roam the halls at Lakeview to see what projects our students have created this year with the help of PTSA sponsored art classes taught by Michelle Lustgarten, Lakeview teachers and our talented art docents. Bring your friends and the whole family to this free event. Plus stop by Daddy’s Donuts Truck for a sweet treat! Note this is not a drop-off event.